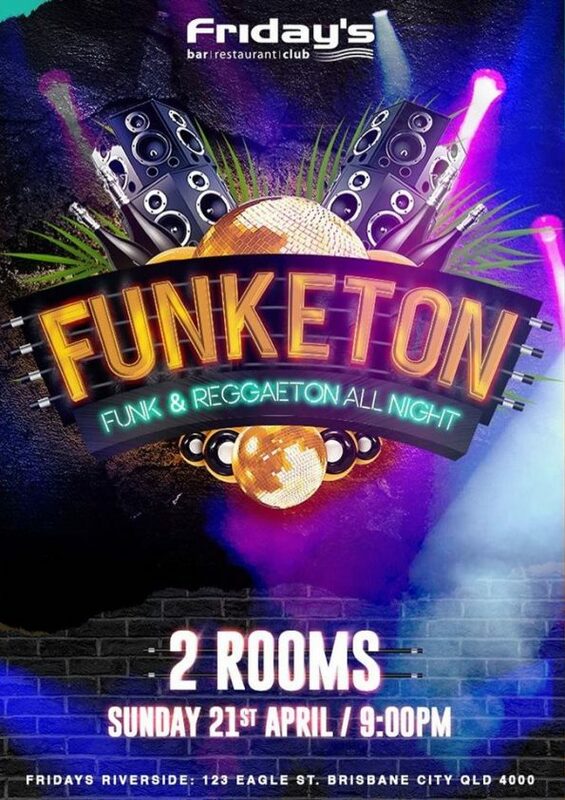 Alright Brisbane, are you ready to go to Funketon this Easter Sunday? We’ll be bringing the party to the riverside with a night full of Funk & reggaeton tunes across the whole venue. They’ll be a DJ spinning tunes in the Glamour Bar & the Main Bar, so if one doesn’t get you moving, we guarantee the other will. head down after 9pm & be prepared to get your jam on, cover charge is only $10 between 9pm-12am & $15 after 12am. Our pizza menu will also be available ’til 12am so you can keep the energy up while cutting shapes. Easter Monday is a public holiday, so you can jam with us all night long! Get the group chats on the go & head down early to avoid the line!